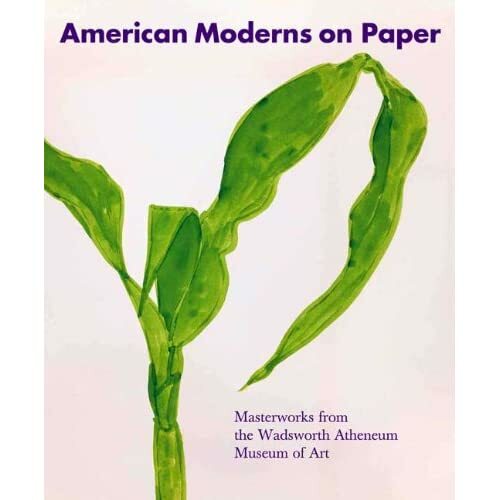 Begining on February 27, 2010, the Amon Carter Museum presented American Moderns on Paper: Masterworks from the Wadsworth Atheneum Museum of Art. The exhibition, from the country’s oldest public art museum, was on view through May 30, 2010, and showcased a selection of the finest watercolors, pastels and drawings by avant-garde American artists working from 1910 to 1960. Admission is free. 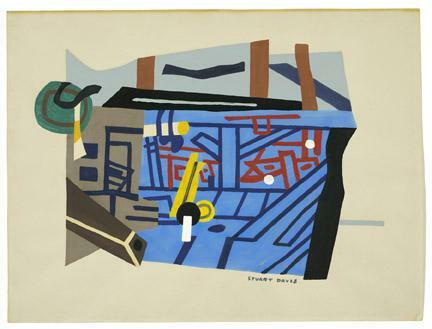 John Marin (United States, 1870-1953), From the Bridge, N.Y.C., 1933, opaque and transparent watercolor and charcoal, collage pieces on ivory paper, 21 7/8 x 26 3/4 inches. Wadsworth Atheneum Museum of Art, The Ella Gallup Sumner and Mary Catlin Sumner Collection Fund, 1948.479. Edward Hopper (United States, 1882-1967), Rockland Harbor, 1926, watercolor on paper, 13 7/8 x 20 inches. Wadsworth Atheneum Museum of Art, The Ella Gallup Sumner and Mary Catlin Sumner Collection Fund, 1928.324. Edward Hopper (United States, 1882-1967), Truro Station Coal Box, 1930, watercolor on paper, 19 1/2 x 13 1/2 inches. Wadsworth Atheneum Museum of Art, The Ella Gallup Sumner and Mary Catlin Sumner Collection Fund, 1934.9. Edward Hopper (United States, 1882-1967), Custom House, Portland, 1927, watercolor on paper, 14 x 20 inches. Wadsworth Atheneum Museum of Art, Gift of Robert W. Huntingon, 1946.232. 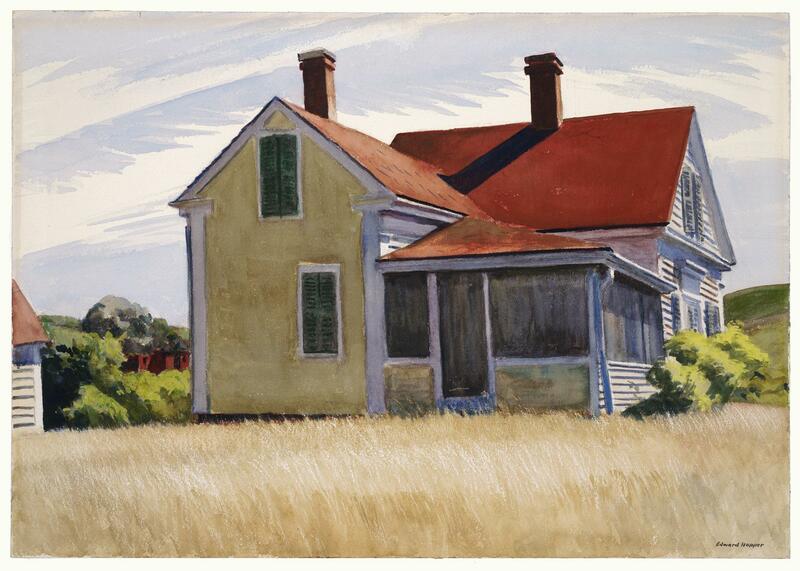 Edward Hopper (United States, 1882-1967), Methodist Church, Provincetown, 1930, watercolor on paper, 25 x 19 3/4 inches. Wadsworth Atheneum Museum of Art, The Ella Gallup Sumner and Mary Catlin Sumner Collection Fund, 1951.19. “The exhibition featured major works by some of the leading artists of the early twentieth century, including Charles Demuth, Edward Hopper, John Marin and Georgia O’Keeffe, and it supports the premise that some of their finest and most innovative work was executed on paper, rather than on canvas,” said Jane Myers, senior curator of prints and drawings at the Amon Carter Museum. Organized by the Wadsworth Atheneum Museum of Art in Hartford, Conn., this exhibition included nearly 100 works on paper, bringing to the local audience works by artists seldom featured at the Carter, such as Arshile Gorky, Hans Hofmann and Ellsworth Kelly. It was the first major display of the Wadsworth Atheneum’s American works on paper from the early twentieth century. The exhibition also spotlighted the Neo-Romantics and surrealists who came to America in the 1930s. Featuring a diversity of styles from the early twentieth century, it juxtaposes modernism and anti-modernism and explores the tension between the two movements. The Carter was the first venue for American Moderns on Paper before it traveled to the Portland Museum of Art in Maine and then home to be on view at the Wadsworth Atheneum. A scholarly catalog, published by Yale University Press, accompanied the exhibition and presented new research on the relevance of watercolors, drawings and pastels on paper to the history of modern art in America. The exhibition was curated by Elizabeth Mankin Kornhauser, Chief Curator and Krieble Curator of American Painting and Sculpture at the Wadsworth.